The flap actuator end needs to have a 1/16" hole drilled through the end so it can be safety wired. You start by drilling a shallow hole perpendicular to the cylinder. You can then aim the drill bit in the shallow hole without the bit wondering off as you drill through towards the nut. I lucked out and the bit came out right at the nut on the first try. I applied coat of Rust-oleum white enamel over the primer on the inside of the flap torque tubes. I wanted to be sure to have a good coat of paint in these prone to rust components. Condensation and exposure to moisture could ruin these tubes pretty quickly and it will be difficult to inspect the insides of these tubes later. 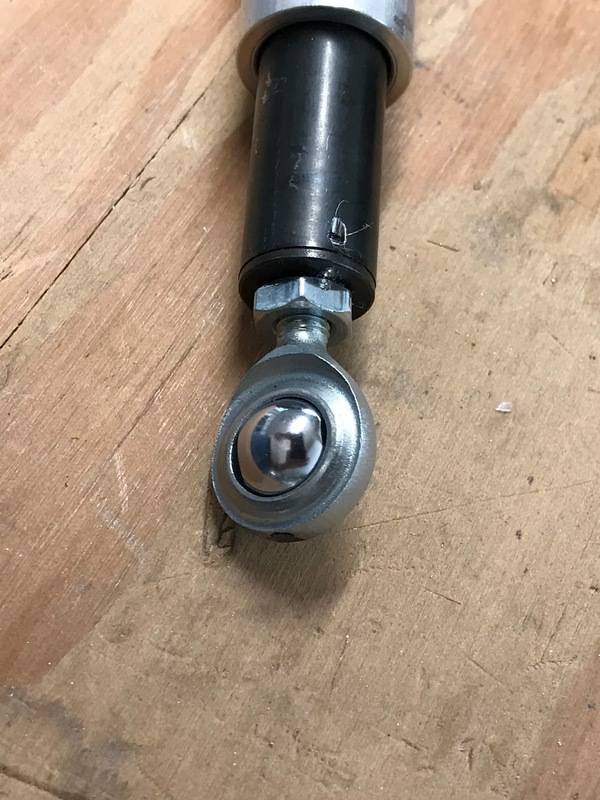 The outsides of the arms on these tubes had already rusted through pinholes in the powder tube coating so I'm taking extra care to corrosion proof these. 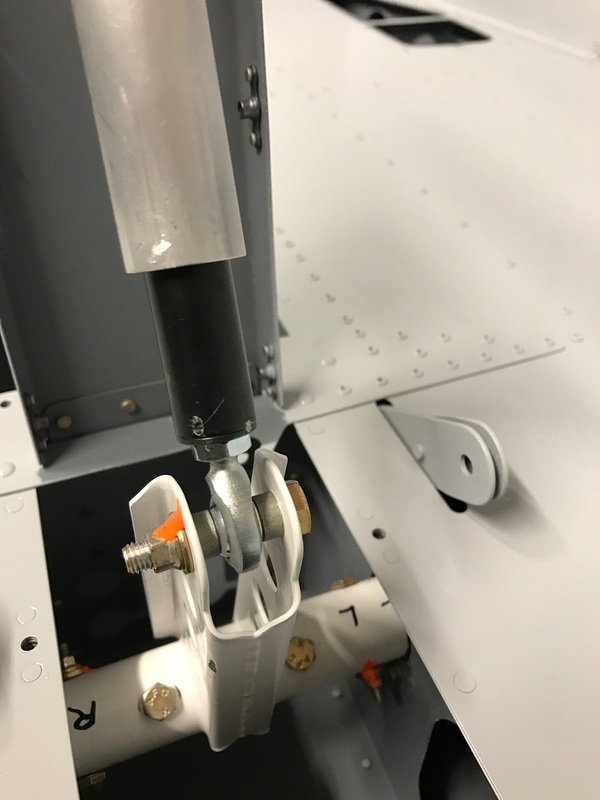 Here is the torque tube installed in the fuselage. There were multiple fiddly tasks to complete the assembly shown below. It took awhile to finesse the bolts into the torque tube ends where they insert into the central hub- you have to get the exact rotation and in/out to line up the holes. I used the rubber mallet sparingly to nudge everything into alignment. After getting the torque tubes in place and moving without binding, I installed the flap actuator. It will be interesting to have an electric flap actuator. 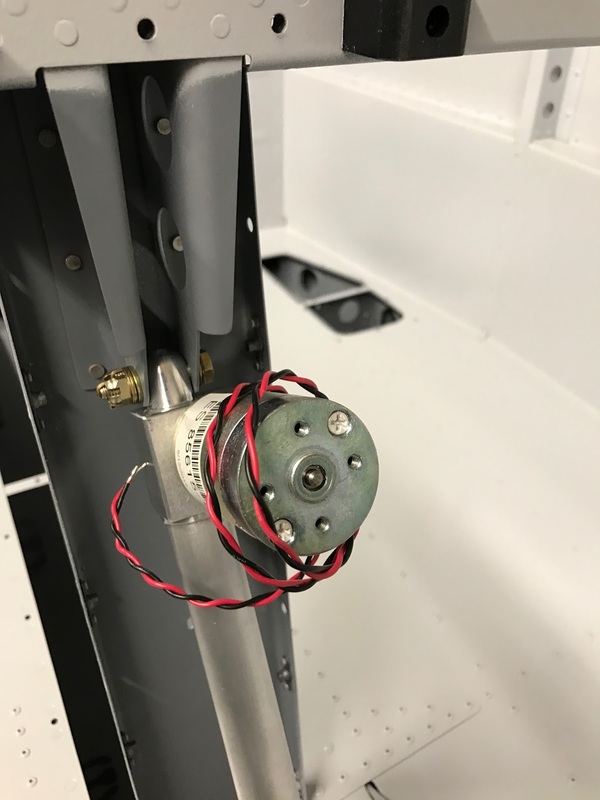 My Mooney has a manual hydraulic pump for actuating the flaps. 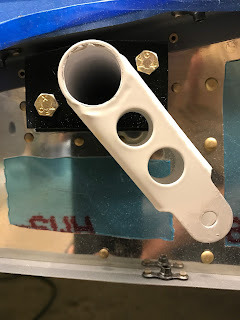 You pump the handle to lower the flaps and release the hydraulic valve to raise the flaps. A simple mechanical indicator shows the flap position (although I usually just look out the window to confirm the flap position). I still have to safety wire the actuator end and add a position sensor. Safety wire is at the airport and the sensor should be in the box that just arrived from Van's along with the firewall forward kit.